Indira Banerjee, CJ & Abdul Quddhose, J. This appeal is against an order dated 27.12.2016 of the Income Tax Appellate Tribunal, allowing the appeal being I.T.A.No.1208 /Mds/2015 of the appellant assessee for statistical purpose. The appellant assessee, being an individual and a Senior Advocate practising in the Supreme Court of India, had filed his return of income for the assessment year 2010-11 declaring taxable income of Rs.12,20,97,560/-and the same was processed under Section 143(1) of the Income Tax Act, 1961, hereinafter referred to as “the said Act”. The return filed by the appellant assessee was selected for scrutiny and notice under Section 143(2) of the said Act was issued on 25.8.2011. Thereafter, another notice under Sections 143 (2) read with Sections 129 and 142(1) of the said Act was issued. The appellant assessee sold a residential house property at No.137, Sundar Nagar, New Delhi on 15.1.2010 in favour of one Smt.Vanadana Manchanda, for a total consideration of Rs.12,50,00,000/-and the total long term capital gain that arose to the appellant assessee was Rs.10,47,95,925/-. In the meanwhile, on 14.5.2007, the appellant assessee purchased the property with superstructure thereon at No.138, JorBagh, New Delhi for a total consideration of Rs.15,96,46,446/-. After demolishing the existing superstructure, the appellant assessee constructed a residential house at a cost of Rs.18,73,85,491/-. Thus, the appellant assessee claimed entire long term capital gain as exempt from tax under Section 54 of the said Act. The Assessing Officer held that only that part of the construction expenditure incurred after the sale of the original asset would be eligible for exemption under Section 54 of the said Act and based on records held that cost of construction incurred after the sale of the original asset was Rs.1,14,81,067/-. Exemption of Rs.1,14,81,067/-was allowed as relief under Section 54 of the said Act. Aggrieved by the tax demanded, the appellant assesse filed appeal, being I.T.A.No.305 CIT (A)-13/2014-15, before the Commissioner of Income Tax (Appeals)-13. By an order dated 30.03.2015, the Commissioner of Income Tax (Appeals) -13, dismissed the appeal of the appellant assessee and upheld the view of the Assessing Officer that only that part of the construction expenditure incurred after the sale of the original asset would be eligible for exemption under Section 54 of the said Act. Being aggrieved by the order of the Income Tax Appellate Tribunal, the appellant assessee filed this appeal. Learned counsel appearing on behalf of the appellant assessee submitted that the new residential property had been constructed within a period of three years from the date of sale of the old property. He argued that construction of a property cannot be done without land underneath it and, therefore, the cost of construction of the property should also include the cost of land. Learned counsel further argued that the appellant assessee was entitled to full exemption under Section 54 of the said Act. 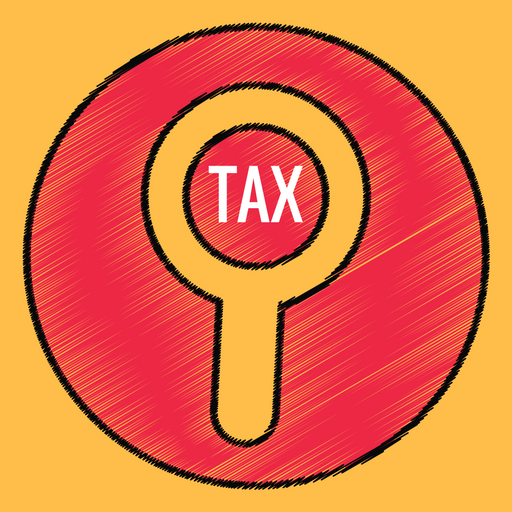 The learned Tribunal ought to have directed the Assistant Commissioner of Income Tax to complete the assessment by granting the appellant assessee full exemption under section 54 of the said Act. 11. The appeal of the appellant assessee was admitted on the following questions of law: i.When capital gain arises from sale of building and/or land appurtenant thereto and a residential house is constructed within three years from the date of such sale, whether the cost of the new asset, which is eligible for set-off against capital gain, would include the cost of the land, if such land had been purchased three years prior to sale of the property from which capital gain arose ? ii.Whether, in computation of cost of new asset contemplated in Section 54(1) of the Income Tax Act, the cost of land can be segregated from the cost of the constructed house property ? 12. Section 45(1) of the said Act provides that any profits or gains arising from the transfer of a capital asset effected in the previous year, save as otherwise provide in, inter alia, Section 54 shall be chargeable to income tax under the head “capital gains” and shall be deemed to be the income of the previous year in which the transfer took place. The mode and manner of computation of capital gains is governed by Section 48 of the said Act. Under Section 54(1) of the said Act, the capital gain arising from transfer of a residential house is not to be charged to income tax as income of the previous year, if the assessee has within a period of one year before or two years after the date of transfer of that residential house purchased another residential house in India or has within a period of three years after the date of transfer constructed a residential house in India and if the amount of the cost of the residential house so purchased or constructed is equal to or less than the amount of capital gain. It is a well settled principle of construction and interpretation of statutes that statutory provisions should, to the extent feasible, be interpreted and/or construed in accordance with plain meaning of the language used in those provisions. On a plain reading of Section 54(1) of the said Act, the transfer of a long term asset, which would include a residential house, would be chargeable to income tax as a capital gain, except in circumstances specified in the said section. It is not necessary for this Court to go into the question of mode and method of computation of capital gain as there is no dispute in this regard, which requires adjudication in this appeal. The question is, whether any part of the capital gain from transfer of the residential house is exempt from the capital gain tax and if so to what extent? The conditions precedent for exemption of capital gain from being charged to income tax are: (i)The assessee should have purchased a residential house in India either one year before or two years after the date of transfer of the residential house which resulted in capital gain or alternatively constructed a new residential house in India within a period of three years from the date of the transfer of the residential property which resulted in the capital gain. (ii)If the amount of capital gain is greater than the cost of the residential house so purchased or constructed, the difference between the amount of the capital gain and the cost of the new asset is to be charged under Section 45 as the income of the previous year. (iii)If the amount of the capital gain is equal to or less than the cost of the new residential house, the capital gain shall not be charged under Section 45. What has to be adjusted and/or set off against the capital gain is, the cost of the residential house that is purchased or constructed. Section 54(1) of the said Act is specific and clear. It is the cost of the new residential house and not just the cost of construction of the new residential house, which is to be adjusted. The cost of the new residential house would necessarily include the cost of the land, the cost of materials used in the construction, the cost of labour and any other cost relatable to the acquisition and/or construction of the residential house. A reading of Section 54(1) makes it amply clear that capital gain is to be adjusted against the cost of new residential house. The condition precedent for such adjustment is that the new residential house should have been purchased within one year before or two years after the transfer of the residential house, which resulted in the capital gain or alternatively, a new residential house has been constructed in India, within three years from the date of the transfer, which resulted in the capital gain. The said section does not exclude the cost of land from the cost of residential house. It is axiomatic that Section 54(1) of the said Act does not contemplate that the same money received from the sale of a residential house should be used in the acquisition of new residential house. Had it been the intention of the Legislature that the very same money that had been received as consideration for transfer of a residential house should be used for acquisition of the new asset, Section 54(1) would not have allowed adjustment and/or exemption in respect of property purchased one year prior to the transfer, which gave rise to the capital gain or may be in the alternative have expressly made the exemption in case of prior purchase, subject to purchase from any advance that might have been received for the transfer of the residential house which resulted in the capital gain. At the cost of repetition, it it reiterated that exemption of capital gain from being charged to income tax as income of the previous year is attracted when another residential house has been purchased within a period of one year before or two years after the date of transfer or has been constructed within a period of three years after the date of transfer of the residential house. It is not in dispute that the new residential house has been constructed within the time stipulated in Section 54(1) of the said Act. It is not a requisite of Section 54 that construction could not have commenced prior to the date of transfer of the asset resulting in capital gain. If the amount of capital gain is greater than the cost of the new house, the difference between the amount of capital gain and the cost of the new asset is to be charged under Section 45 as the income of the previous year. If the amount of capital gain is equal to or less than the cost of the new residential house, including the land on which the residential house is constructed, the capital gain is not to be charged under Section 45 of the said Act. For the reasons discussed above, the appeal is allowed. The questions framed above are answered in favour of the appellant assessee and against the respondent revenue. The first question is answered in the affirmative and the second question is answered in the negative. No costs. This entry was posted in Sec. 142(1), Sec. 143(1), Section 129, Section 54, Section 54F and tagged 407 ITR, In favour of Assessee, Madras High Court, notice under sec.143(2).